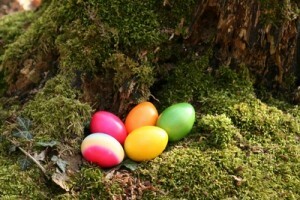 Many sport clubs offer egg search for small children on Sunday or Monday. Mostly it is not necessary to be a member and you just go. Just have a look at the website of your local sport club or keep your eyes open when driving – there are many ads on the roads.